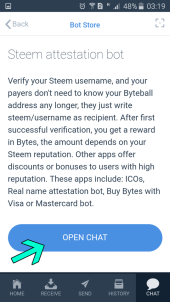 Many Steemit users receive free bytes. But I guess many users have not yet. I think it's a little complicated to some. But I will present a method that anyone who can use WhatsApp can do. Just follow the steps in the pictures. 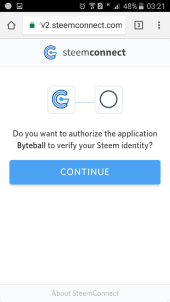 In the last step, your coins between $ 10 and $ 160 according to the rep score will AUTOMATICALLY be loaded into your wallet..
5) Click the SteemConnet link. 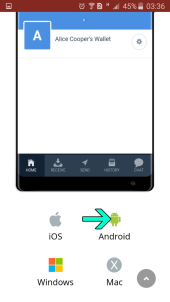 6) Back to App, Click (private/public) and Click "Request Link"
Your reward is exactly same as new user's reward. %25 of reward will be immediately available, the other 75% will be after 1 year. 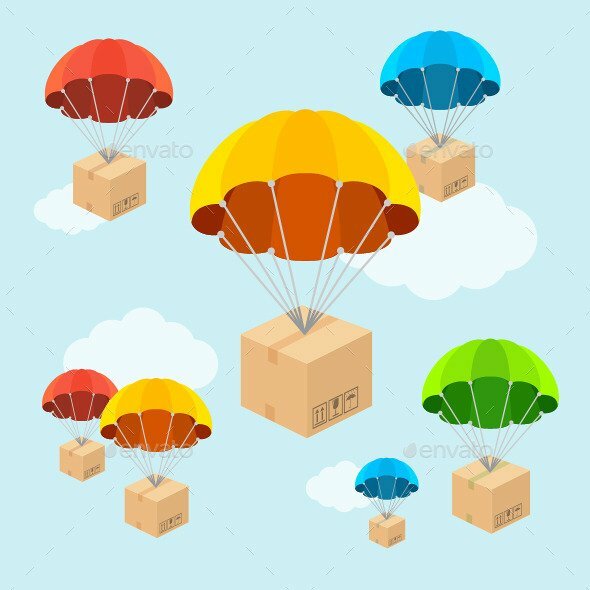 Hello @milansantra The good news is that the airdrop is genuine. I see lots of people posting about it. But sadly you need at least a reputation of 30 to join in. How long before it's over completely? @murattatar Hopefully I get to 30 while it's still on. When other people vote to you, your reputation will be increase. Thank you. I will check out the link. 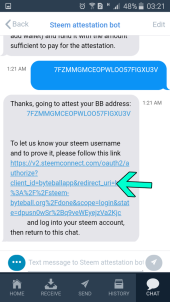 Thanks sir for teaching us that how to participate in Byteball giveaway i was just waiting for such guidance. Please send me 60000 ? 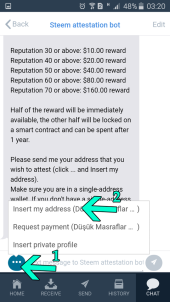 How to send a Byte to bittrex? 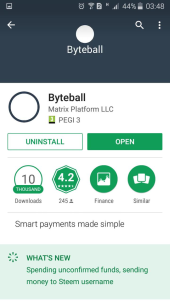 Can it directly from a Byteball app? 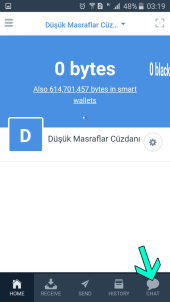 And what wallet address should I fill..? Thanks @murattatar, this information is very helpful to me. 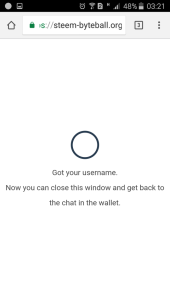 Once the funds are in the wallet, how do you transfer it to your steem wallet? thank you, everythng just worked out great! this is available for newbie? you should have 30+ reputation score. 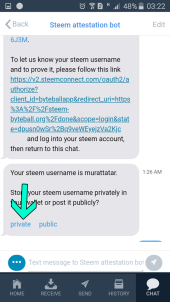 You should get vote from other users that they have higher reputation. Pays according to the reputation score (exp: your rep is 31). More gifts come with higher rep. Thanks for the easy tutorial to follow. Was able to get $2.50. You got a 61.24% upvote from @slimwhale courtesy of @murattatar! 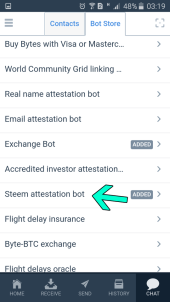 Did you know you can make a passive income by simply delegating steem power? @slimwhale offers the best return on your investment, sharing 100% of the bidding pool rewards, daily, proportional to your investment. You got a 85.24% upvote from @brupvoter courtesy of @murattatar! 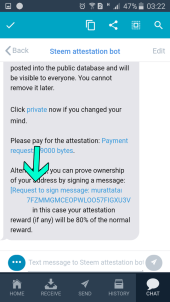 You have gotten a vote courtesy of @murattatar! They have enlisted the help of the @alliedforces! We gladly answer your call! Have you supported your favorite witnesses?